Volkswagen is taking a hard look at a pickup truck, the Lincoln Aviator is back, and you love old Subarus (we’ll explain). The New York Auto Show returned last week with flair and a wide range of promising reveals. Let’s break down some of the big news, plus a few things you might have missed. Views: Doing a mid-size SUV is obvious. Calling it the Aviator wasn’t. I like it. Using Navigator design cues, this thing looks the part and should give Lincoln some energy and sales volume. Not playing in the midsize SUV segment has been a mistake for Ford’s luxury brand, and the Aviator should fill a much-needed hole. Props to Lincoln for dusting off the Aviator name, most recently used on a rebadged Ford Explorer built in 2003-2005. It sounds classy and historic, like something from 1930s, even though it only dates to the tail end of the “Friends” era. Speaking of names, when the MKC gets a new one, Lincoln should dust off Zephyr, a moniker it actually used in the ’30s and then briefly in the early 2000s. The Aviator was well-received in New York, earning our Best in Show award and garnering cautiously optimistic reactions from some analysts. 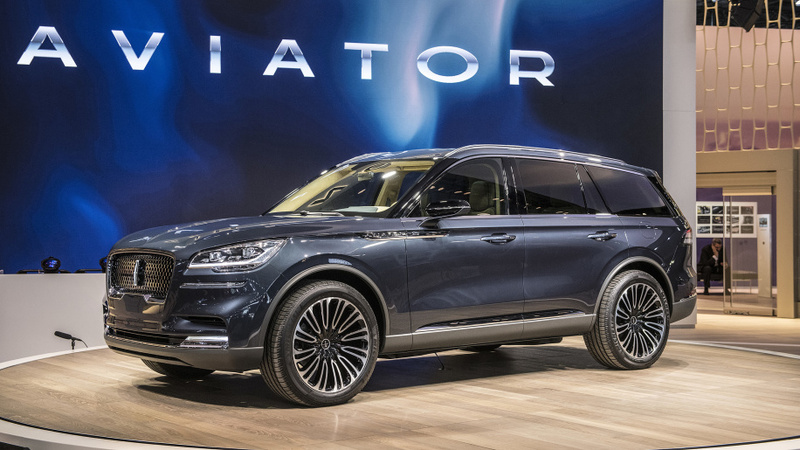 “Lincoln ran this experiment once before … differences in the market conditions, stronger differentiation and appetite for utility vehicles may prove a different story for this Aviator,” IHS analyst Stephanie Brinley said. The lightly refreshed 2019 Subaru Forester debuted in New York, and all anyone wanted to talk about was the old ones. Subaru even trotted out all four of the preceding generations to display alongside the new one. I ran a twitter poll, and in an entirely unscientific sample size, the votes split between the first (1997-02) and second (2002-08) generations, at 29 percent. The fourth generations (2014-18) was close with 23 percent, while the middle-child third gen (2009-13) earned 19 percent. You might think there’s a groundswell of nostalgia, but my guess is many of these old ones are still on the road, thus their enduring popularity.